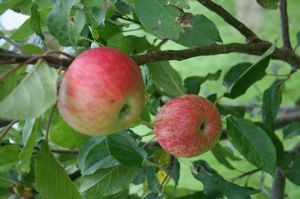 Exeter Cross - Dessert Apple Tree £12.75 - Dessert Apples - Early Season Apple Trees and Fruit Trees For Sale. Buy at competitive prices with wholesale discounts. Exeter Cross is an early eating apple that has crimson fruit and can be picked in late August and stored. 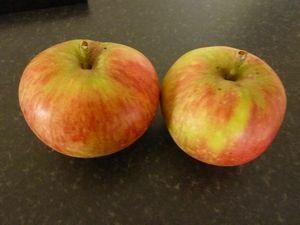 It is a good cropper producing crisp, juicy apples with a fruity sweet/sharp balance. It has good disease resistance and comes from a cross of Worcester Pearmain and Beauty of Bath, named in 1954.